Rockstar Diaries is one of my daily blog reads. Writer / dancer / photographer / red lipstick afficionado Naomi Davis has such an unbridled zest for life that you always want to know what she’s thinking and what vintage frock she’s wearing. Her site recently saved my carol-addled ears with a great online holiday album called, Hey, It’s Christmas. 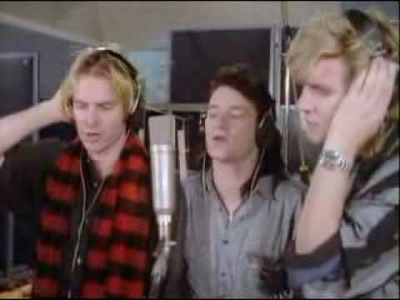 Best: It’s a tie between Band Aid‘s Do They Know It’s Christmas** (’80s nostalgia) and O Holy Night (beautiful). Worst: Wonderful Christmastime by Paul McCartney. Oh, Paul. My ears are bleeding tinsel. posted 22 Dec 10 in: art, inspiration, music, performance. This post currently has no responses.